“Photo taken at the instant bullets from a French firing squad hit a Frenchman who collaborated with the Germans. 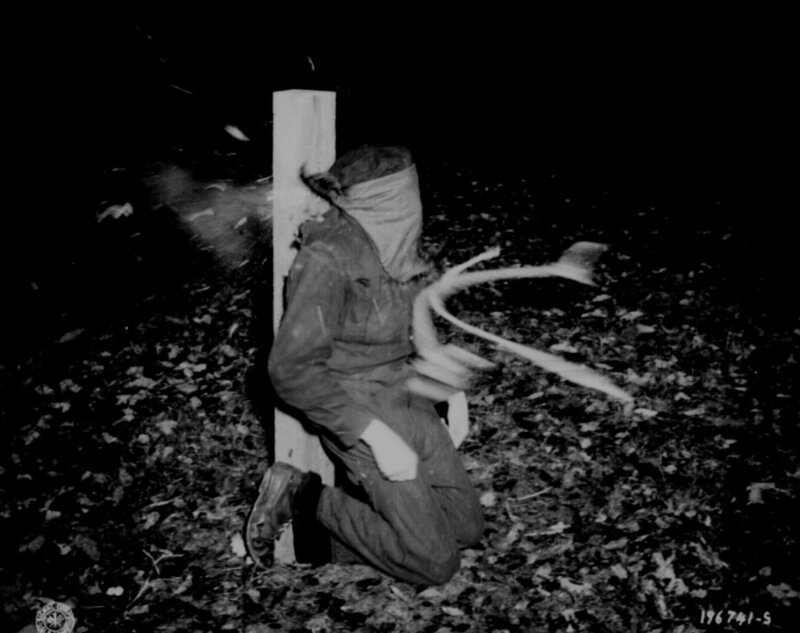 This execution took place in Rennes, France.” Himes, November 21, 1944. Click to see a larger image of this stunning photo — or, take in this huge copy.